Gentle narration and ocean waves lull you to sleep. Enjoy a good night’s sleep with this gentle inner journey. 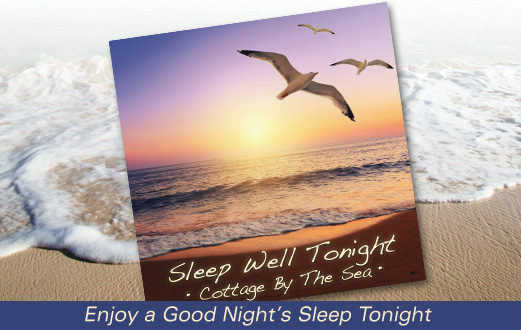 In this guided imagery for sleep you’ll take an evening walk along the beach to your secluded seaside cottage. Secure in your comfy bed on the screened-in porch, enjoy a full body relaxation, and then let the waves lull you into dreamland. At the end of the inner journey the narration tapers off, and the waves continue for another 30 minutes. Download this program today and Sleep Well Tonight! "The ocean air feels so pleasant on your skin, and the smells of the ocean and scents of the blossoming trees nearby are softly intoxicating, beginning to make you a little drowsy. Soon you come to your cottage, open the screen door, and sit on the edge of the bed looking out at the sea and the sky. The first stars have begun to come out, and you take some time to just sit there, and watch them appear, one by one, as last light of day fades, and the sky darkens to a deep velvet..."
"I love Sleep Well Tonight...what I have heard so far anyway..I have fallen asleep everynight before it is even half played. I even tried to listen to it one afternoon and ended up falling asleep..what a fun unexpected nap!" "Thank you for these wonderful guided meditations. I have used Sleep Well -Overnight Train and Cottage by the Sea. Sadly or with blessings I have never heard the end of the programs. Sound asleep before the end." "I wanted to share with you my experience with Sleep Well Tonight. I put it on my i-pod and was asleep 2 nights in a row before the guided imagery was even over. Hearing the program gave me permission to simply transition into sleep, so I could refresh and renew. It made all the difference. Thank you so much!" "I can't tell you how grateful I am for this. As soon as I hit the pillow my mind becomes the 405 Freeway...the most hectic one in CA!!! So sleep is something that does not come easy to me....until I got this CD! I have played it every night and I have NEVER heard the end of it!!! I tried playing it during the day when I had to just sit and ice my arm thinking that would keep me awake and I could hear the end of it...but no such luck as I still fell asleep. I want to thank you so much for such a wonderful album..it will always be one of my favorites. And maybe one day I will hear the end of it!!" "I wanted to take a few moments to tell you how grateful I am to have discovered your "Sleep Well Tonight" cd. I have been using it for about 2 weeks. The first night I wanted to stay awake to hear the entire cd. Every night since, once I hear the relaxation meditation I fall so peacefully to sleep. I have always had trouble falling asleep but with the cd and wonderful meditation and natural sounds I am finding it easier and easier to drift off. Thank you so much." "Sleep Well Tonight has helped me to stop fighting sleep and quiet my mind allowing me a restful night. Thank you!" Guided imagery is a natural for inducing sleep. Over the years I've gotten many letters from customers who've been using The Healing Waterfall and other of my guided imagery programs for sleep purposes. So it finally occurred to me (wake up, Max!) that it might be a good idea to make a specific guided meditation for sleep. My good friend Jon Shore has been known for his own guided imagery work, and had a wonderful recording he made of ocean waves. That ocean recording became a keystone of the guided meditation for sleep that I created here. I suspect that if you use this inner journey at bedtime, you’ll never find out how it ends! Sweet dreams..."
Enjoy a peaceful night’s sleep in the 3rd of this series. Visit a quiet lane, an enchanted meadow, and a comfortable old chair by a brook. Let go of all your cares, as tension melts away. 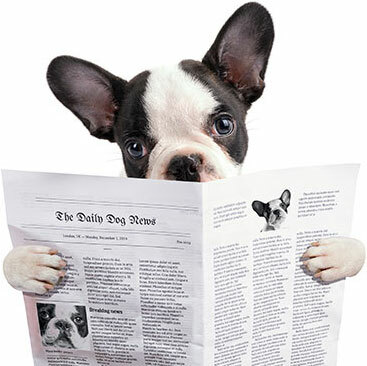 Get a FREE COUPON for this program when you sign up for The Healing Waterfall News! Engage your mind-body connection to release/reduce your pain with this gentle program. Positive visualization and deep relaxation for a successful outcome. Tell us what you’d like, and we’ll do the rest.